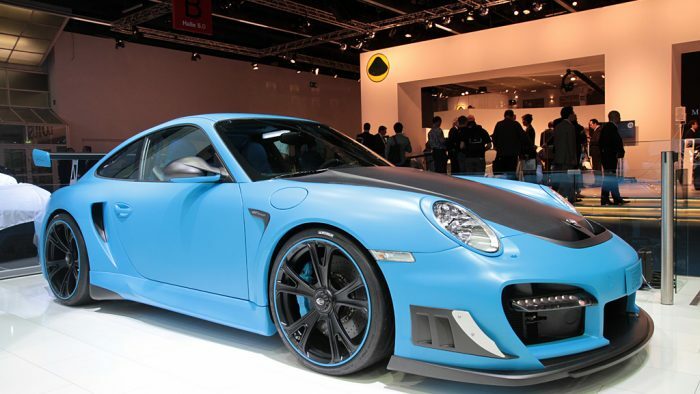 The TECHART GTStreet RS impresses with performance – and its look. Its capability is reflected in the extraordinary exterior design of the sports car. The significantly lowered front apron with a fixed carbon splitter and an adjustable splitter of hard-wearing polyurethane-RIM ensures additional downforce and due to additional air-ducts an improved airflow to the brakes and intercooler. Eye-catcher at the rear: the rear spoiler made entirely of carbon-fibre – handling in extreme conditions is significantly smoother as a result. 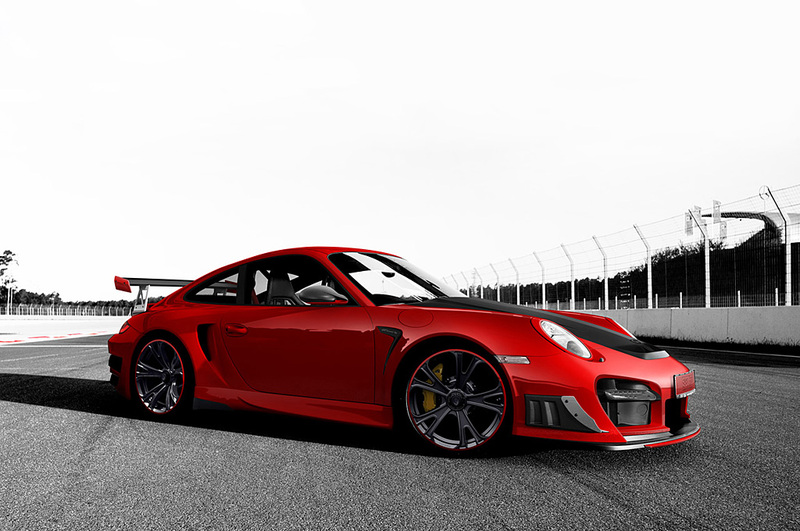 A rear apron with an integrated diffuser in carbon-fibre, air outlets as well as carbon-fibre air wings close the GTStreet RS program. 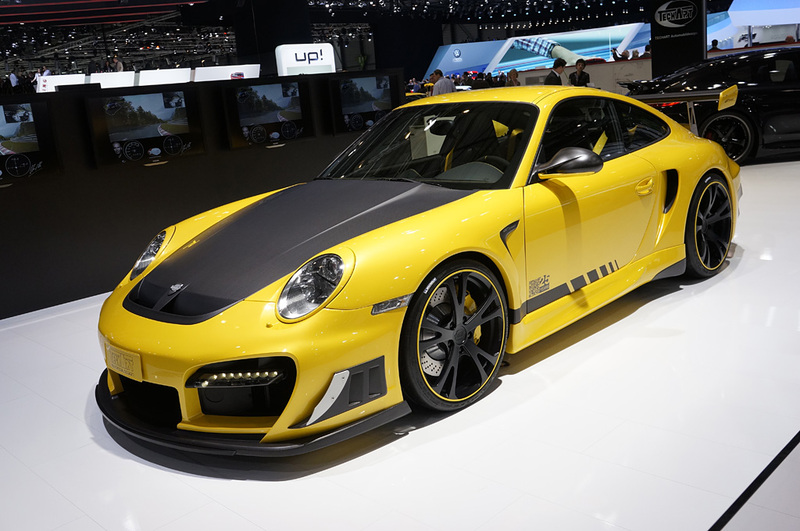 Furthermore TECHART offers the 20-inch Formula Race lightweight forged centerlock wheel in sizes of 8,5J x 20 ET 40 and 8,5J x 20 ET 52 for the front axle and 12J x 20 ET 50 for the rear axle for the Porsche 911 GT2 RS. 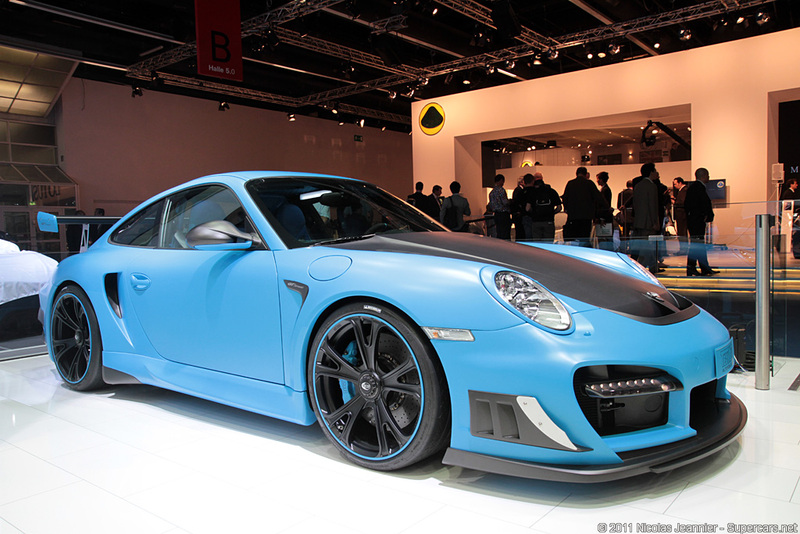 The rigidity and weight ratio was optimized for the TECHART Formula Race and – based on the lighter twin spokes and the connection through the centerlock – provides a weight advantages of 10% if compared to the TECHART Formula III forged wheel and impressive 25% if compared to a light alloy wheel. The result: a reduction of the rotating and unsprung mass, which results in an even more agile driving behaviour and increased driving dynamics. Passion and love of detail – the exclusive TECHART character is also reflected in the interior of the sports car. TECHART’s complete leather furnishings ensure in combination with a delicately fashioned and custom-coloured decorative stitching a unique feeling. Individual decorative components made of carbon-fibre or aluminium pedals and illuminated door entry guards underline the uniquely athletic appearance of the interior. All in all, TECHART offers a virtually unlimited degree of freedom when it comes to customising the interior – with the TECHART-typical precision.